How are learning and teaching being transformed by digital tools? How do administrators, teachers, parents, and students really use technology right now? And what does the future of personalized learning look like? 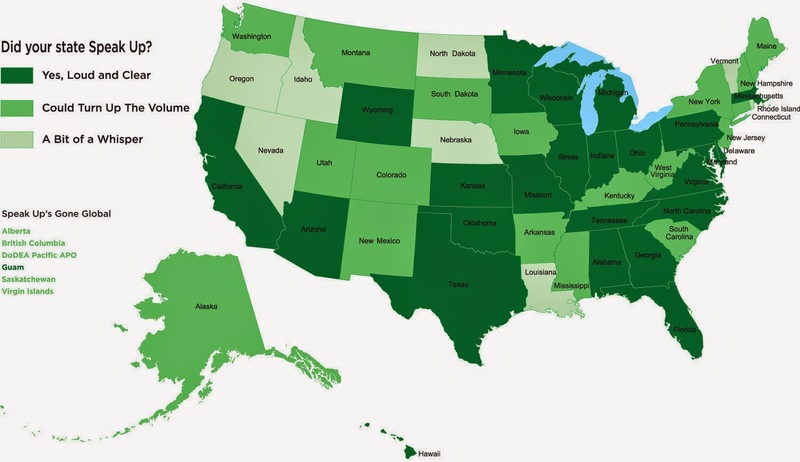 In edWeb.net's next webinar, Julie Evans will share survey findings from the Speak Up National Research Project and discuss learning and teaching with technology, 21st Century Skills, and STEM instruction. She will be joined by Christie Gibson, Principal of Crull Elementary School, who will share insights from her Board of Education Report on state reporting, as well as comparisons of student growth with the amount of time digital tools are used in each classroom. Join Julie and Christie on July 29th to hear the latest on digital tools and personalized learning, today and tomorrow. What is Front Row Math? Erik Heinrich, Director of technology, discusses the challenges of deploying large-scale WI-F across 130+ schools and SF USD's recent Wi-Fi upgrade to Ruckus Wireless. The best small town in America experiments with self-directed learning at its public high school. A group of students gets to create their own school-within-a-school and they learn only what they want to learn. Does it work? Charles Tsai finds out by spending a week with the Independent Project. Some of the things to think about when building a data center. Instant information on your wrist this is another game changer that will have an impact on student learning in the future. Truth In Numbers: What do students think of MyLab & Mastering? How to Restart Your Whole iPad : Tech Yeah! This video will help teachers understand a teaching strategy called "Checking for Understanding" it is a powerful strategy that will guide instruction and increase student engagement. It is good for all grade levels, but especially 4th grade, 5th grade, 6th grade, 7th grade, 8th grade, 9th grade and 10th grade. CFU will improve instruction in turn improving student achievement in high stakes testing and the CST testing. This strategy is good for all students, but especially for low performing and English language learners. What is Checking for Understanding (CFU)?CFU is the teacher continually verifying that students are learning what is being taught while it is being taught -- why is CFU important? Allows you to make instructional decisions during the lesson -- Monitor student progress in real time so as not to wait until formal assessments in order to revise lessons -- To ensure that students are not practicing and reinforcing mistakes -- Practice makes permanent, not perfect --in addition to my twenty years of experience many of these ideas are based on the research of Wested, Robert Marzano, and other ASCD authors -- CFU ensures student engagement by continuous checking if the student understands and is on task -- this video will help teachers learn how to implement this powerful teaching strategy -- that will provide ongoing informal assessment in real time. This video will help teachers with small group instruction. This differentiation of instruction using small group strategies will provide an effective, engaging, learning environment by creating a culture of student success and meeting the needs of all students. Every student is unique and deserves instruction beyond "one size fits all". Administrators can also use this video to provide staff development to their teachers, helping them with differentiation providing instructional engagement. This video emphasizes the "how to"; "nuts and bolts" of preparing and managing small group differentiated instructional models. This video will teach strategies to provide opportunities for student and teacher success. Learning cannot happen without a safe, secure, and comfortable learning environment for students that provides engagement and makes students feel valued and successful. Small group differentiation will help to meet the needs of all students. All stakeholders; administrators, teachers, and students will benefit from the tips and strategies illustrated in this video. These tips are based on twenty years of experience as a teacher and principal of 3rd through 9th grade students, the majority of which were students of color, poverty, and English language learners (ELL). The author/ creator of this video has been influenced by other experts in the field; Michael Grinder, Harry Wong, Ruby Payne, and Robert Marzano all of which have great ideas to help teachers provide effective and engaging classrooms. Helpful hints are provided to help the teacher create a successful differentiated classroom using small group strategies. Primary grades through high school teachers can find valuable information in these videos and the accompanying web page. Test scores and learning in general will improve with effective and engaging differentiation. Small Group Differentiated instruction will help to close the achievement gap in high stakes testing. Building differentiation, communicating expectations, and accountability will provide the keys to reaching students to teach them effectively meeting the needs of varied ability levels and multiple learning styles. This video will help teachers with differentiation of instruction to provide an effective, engaging, learning environment by creating a culture of student success and meeting the needs of all students. Every student is unique and deserves instruction beyond "one size fits all". Administrators can also use this video to provide staff development to their teachers helping them with differentiation providing instructional engagement. This video emphasizes the "how to", "nuts and bolts" of preparing and managing differentiated instructional models. This video will teach strategies to provide opportunities for student and teacher success. Learning cannot happen without a safe, secure, and comfortable learning environment for students that provides engagement and makes students feel valued and successful. 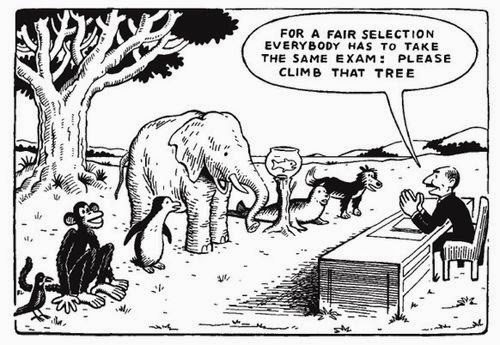 Differentiation will help to meet the needs of all students. All stakeholders; administrators, teachers, and students will benefit from the tips and strategies illustrated in this video. These tips are based on twenty years of experience as a teacher and principal of 3rd through 9th grade students, especially students of color, poverty, and English language learners (ELL). The author/ creator of this video has been influenced by other experts in the field; Michael Grinder, Harry Wong, Ruby Payne, and Robert Marzano all of which have great ideas to help teachers provide effective and engaging classrooms. Helpful hints are provided to help the teacher create a successful differentiated classroom. Primary grades through high school teachers can find valuable information in these videos and the accompanying web page. Test scores and learning in general will improve with effective and engaging differentiation. Differentiated instruction will help to close the achievement gap in STAR testing and other standardized testing. Building differentiation, communicating expectations, and accountability will provide the keys to reaching students to teach them effectively meeting the needs of varied ability levels and multiple learning styles. Learn about a new "superpower" that isn't being taught in 90% of US schools. Starring Bill Gates, Mark Zuckerberg, will.i.am, Chris Bosh, Jack Dorsey, Tony Hsieh, Drew Houston, Gabe Newell, Ruchi Sanghvi, Elena Silenok, Vanessa Hurst, and Hadi Partovi. Directed by Lesley Chilcott, executive producers Hadi and Ali Partovi. TEDxASB - Scott McLeod - The developer of "Shift Happens"
Description: Educational research consistently finds that the vast majority of students day-to-day classroom work occurs in relative isolation, is primarily paper-based, and focuses on factual recall and low‑level procedural knowledge. This industrial model of schooling is increasingly in tension with the needs of a hyperconnected knowledge economy. 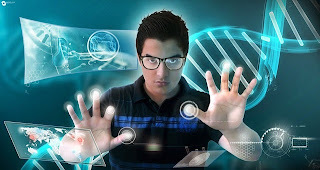 As school leaders, we must ask ourselves what our moral and professional obligations are to create school environments that prepare our graduates for a technology-suffused, globally-interconnected world. 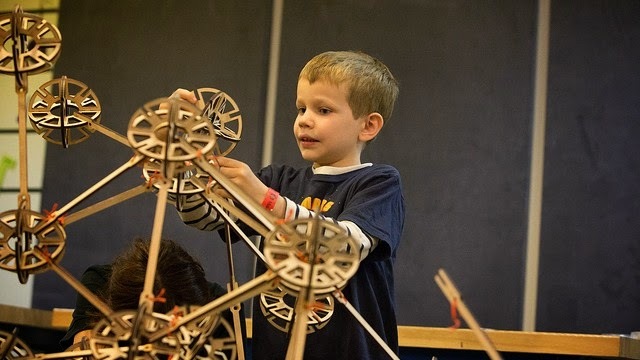 Can the Maker Movement Infiltrate Mainstream Classrooms? Is today's educational systems broke? "Our education system is not broken, it's doing exactly what it was meant to do... The problem is that it's OBSOLETE." Without reliability of assessments you can’t have validity of the student’s gains or mastery of the subject. The reason for this is if the assessment tools are not reliable, as in you can't come up with the same results repeatedly. Then you can't find the level of proficiency of a student or a group of students. If this is true then you can’t use these tools with any validity to the ability of the student. Test question must be statistically normalized before you can use them to determine if a student or group of students are meeting a level of proficiency. This is my concern, when we develop common end of quarter assessment to see if student are gaining knowledge needed to pass the Standardized test. I believe that these common assessments may not be a valid predictor of how the students would do on a standardised test. Also as we tested student and determined that some of the question were not reliable and then change the question by modifying it or removing them. we are changing are baseline and it would make it difficult to make any comparison between the groups of students being tested. Another issue of concern is that in the state of Michigan when they have done standardized testing, they are comparing school success by comparing different groups of students. If you compare different groups of student instead of the same cohort group. The data gain from this practice is of no practical use in determining educational best practices of a school and their effectiveness. 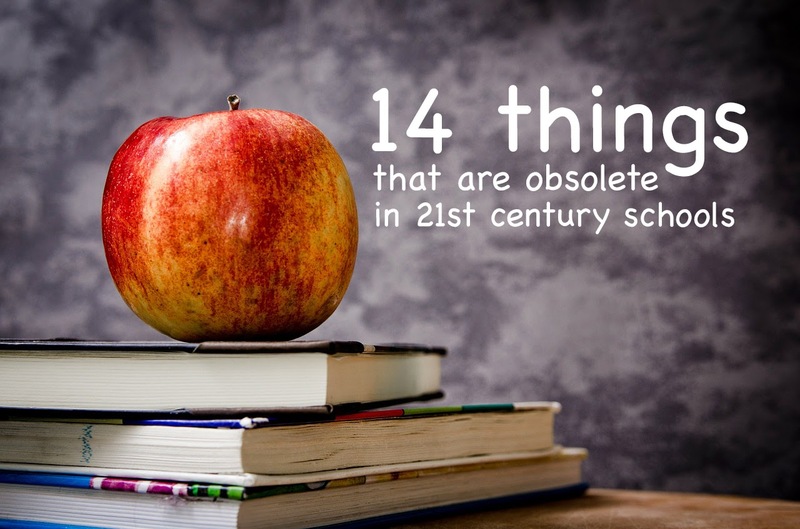 Here is the link to the 14 things that are obsolete in 21st century schools. I found these to be intriguing and spot on. I believe that some of these could start some good conversations on how education can be changed to meet the needs of our students better. So what does “transformative” mean to Erik Burmeister? Get the eSchool News | Top News Headlines widget and many other great free widgets at Widgetbox! Here is a survey of what people think should be in an ultimate school setting. 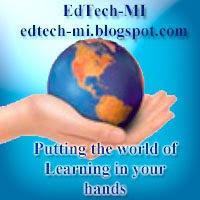 Copyright - If sharing information from this site you must Credit Edtech-mi Blog Site.. Awesome Inc. theme. Powered by Blogger.